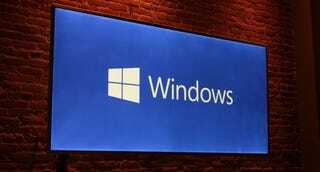 If you use Internet Explorer you are a damn fool, but according to The Verge's Microsoft scoop factory Tom Warren, the forthcoming Windows 10 replacement for Microsoft's beleaguered browser will be loaded with features that no other software currently offers. The new browser, which we already heard was codenamed "Spartan," will reportedly have a couple of cool capabilities that seem to dovetail nicely with Microsoft's initiatives in other areas. According to Warren, the new browser will have the Cortana voice-assistant built right in so you can speak commands and searches. Not surprising, since we already knew there would be Cortana integration in Windows. Furthermore, there will be new support for annotation. So if you're reading a webpage on your Surface tablet, you can use the stylus to mark up a page and then email yourself a copy. No surprise, this feature will supposedly be powered by Microsoft's OneDrive cloud storage service.